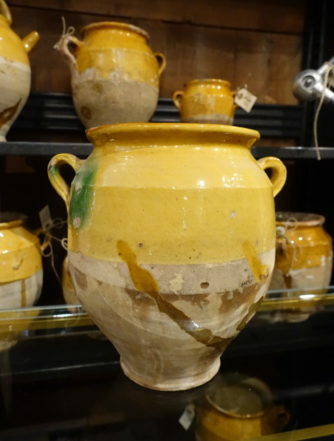 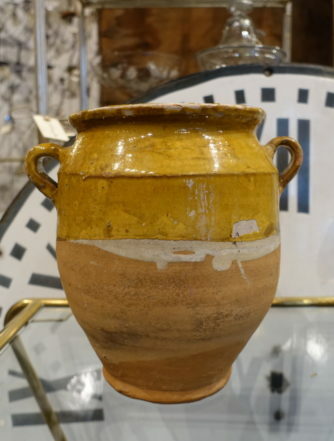 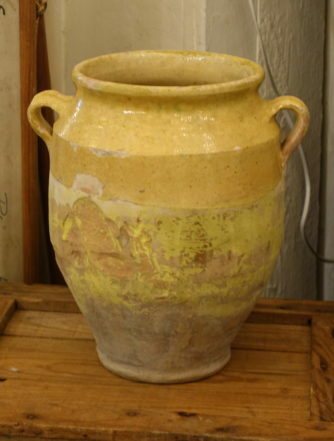 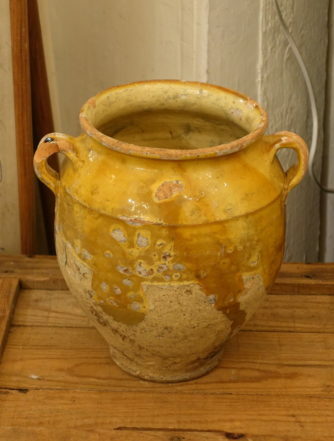 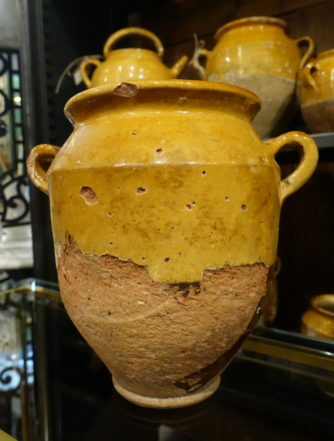 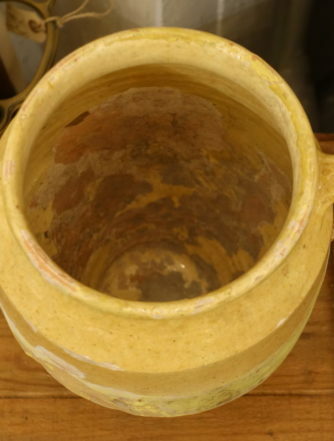 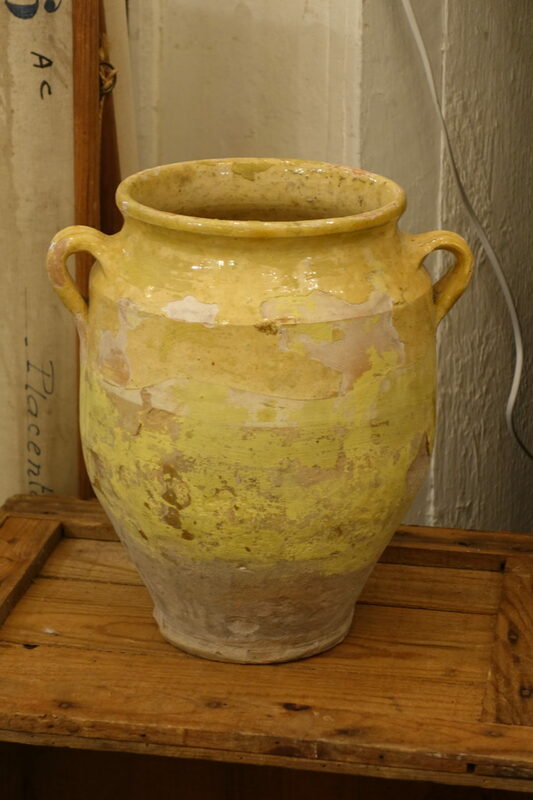 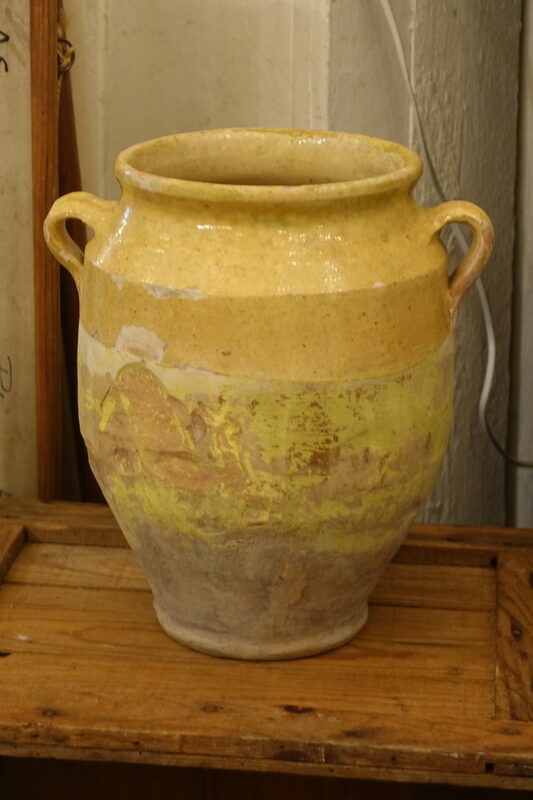 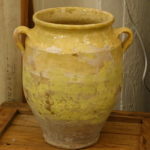 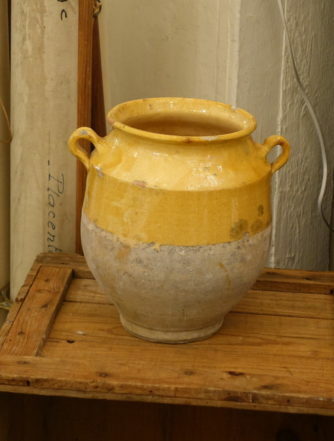 Wonderful old earthenware / pottery storage jar, from South West France. 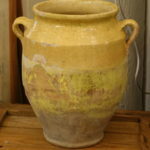 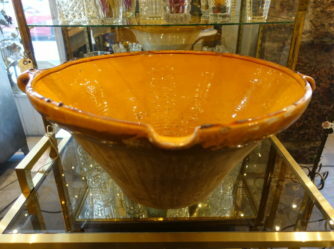 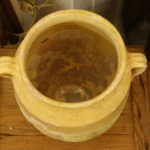 Lovely pale yellow glaze on brown. 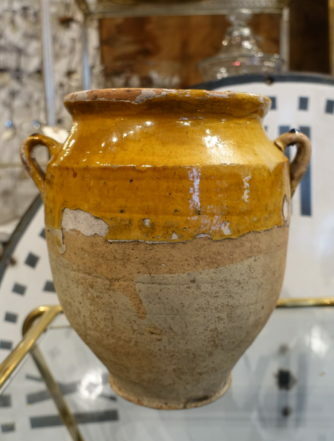 Fabulous patina and great look. 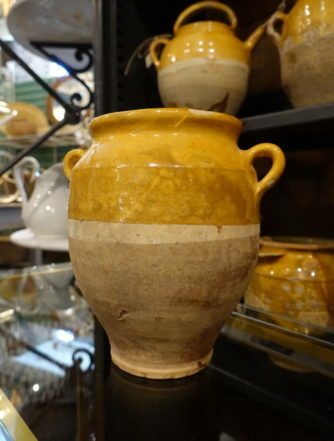 Provenance – used to store food wares such as lard, duck paté and suchlike. 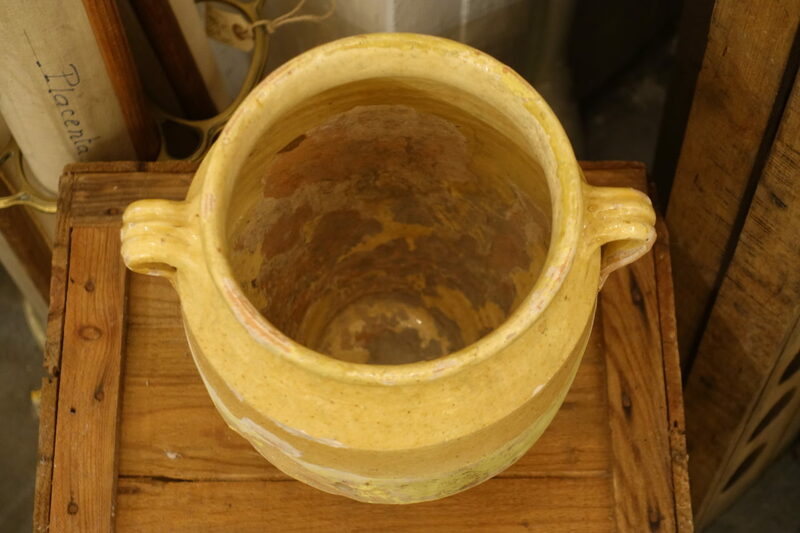 An elegant piece which would look super holding your kitchen utensils, or filled with a floral meadow display.